The IfM has always been very active in its support of and contribution to industrial policy, economics and innovation. 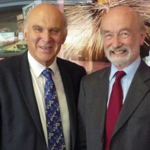 Rt Hon Dr Vince Cable, Secretary of State for Business, Innovation and Skills, visited the IfM in October following the launch of his 'Industrial Strategy' for the UK. While here, Dr Cable engaged in a roundtable discussion with the Vice-Chancellor and a group of Cambridge academics on the ‘Cambridge ecosystem and growth’. 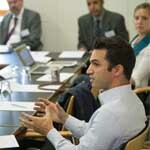 The dialogue between Engineering and Economics is also being supported by the Babbage Industrial Policy Network, which gathers together leading figures as well as young researchers from economics, engineering and operations management with an interest in manufacturing and industrial policy though a series of seminars. The Network acts as a reference point for researchers while creating a bridge with policymakers, international organisations, and manufacturing firms. The next Babbage Seminar will be held at 3:00pm on February 4 and will feature Professor Patrizio Bianchi (University of Ferrara and Emilia-Romagna Regional Government) talking about a new approach to industrial policy. To participate, please register online. 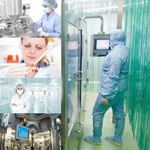 ‘The Future UK Life Sciences Manufacturing Landscape: Opportunities and Challenges for High Value Manufacturing in the Pharmaceutical and Biopharmaceutical Sectors’ is a new study aimed at identifying needs, opportunities and challenges in the UK pharmaceutical and biopharmaceutical manufacturing sectors. The report was developed using the strategic roadmapping techniques for which the IfM is a world centre of expertise, under Rob Phaal’s leadership. The report was commissioned by the Technology Strategy Board and the roadmapping project was led by Principal Industrial Fellow, Andrew Gill, for IfM ECS in collaboration with the HealthTech and Medicines Knowledge Transfer Network. The need for this research was identified as part of a wider project on High Value Manufacturing (HVM) led by IfM ECS and published in February 2012, which had recommended that key sectors should be explored in greater depth. The pharmaceutical report was launched in November and industry, policy makers and academia have been invited to provide feedback on its findings. Ronan Daly and Alfonso Castrejon-Pita from IfM’s Inkjet Research Centre have won the Engineering Department’s 2012 photography competition. 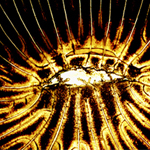 Their stunning optical microscopy image shows the drying and cracking of a film formed when an aklyl ketene dimer (AKD) dispersion is deposited and dried on a glass microscope slide. AKD is a waxy material often used in industry to treat paper and improve the quality of inkjet printing by reducing the spread of ink drops. There were hundreds of entries to the competition and the standard was so high that the judges commented that the winning images would hold their own in Tate Modern. To see some of the other entries go here. 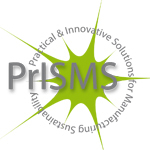 On 23 October 2012 IfM ECS launched the PrISMS programme to help smaller manufacturers grow their business, reduce costs and minimise their environmental impact. It is being jointly funded by the European Regional Development Fund, the EPSRC Centre for Innovative Manufacturing in Industrial Sustainability, ideaSpace Enterprise Accelerator and IfM ECS. The programme has some very ambitious targets. Over the next three years, ECS will be looking to work with 50 start-ups and 70 SMEs and aims to create over 140 new jobs in the region and safeguard many more. We already have 14 companies enrolled in the programme, with three other possible ones awaiting the final go-ahead. Dr Tim Minshall, Senior Lecturer in Technology Management recently gave a TEDx talk based around the perception of what primary school children think engineers do. TED is a non-profit organisation devoted to ‘Ideas Worth Spreading’. Tim talked about an alarming trend in the UK: the lack of awareness of the absolutely critical role that engineers play in our current and future worlds. Of particular concern is the impact this has on young people wanting to become engineers. After all, as we know, engineers don’t just fix things; they make things better. Engineers make the future. 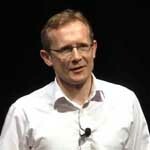 Watch Tim’s TEDx talk on Youtube. The Centre for Industrial Photonics, headed up by Professor Bill O’Neill, has set up a new EPSRC-funded Centre for Doctoral Training in Ultra Precision with Cranfield University. The CDT is in the process of recruiting postgraduate students interested in developing the next generation of ultra precision manufacturing systems and products. 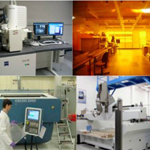 Starting in October 2013, the programme will train students in many advanced ultra precision technologies and processes including: laser micro processing; focused ion beam machining; reactive atom plasma processing; micro mechanical machining; nanofabrication; graphene engineering; printed electronics; and advanced metrology systems. The doctoral training programme also aims to equip its students with the full range of skills they will need to become manufacturing leaders. So, as well as becoming expert in ultra precision technologies and production processes, the students will also develop strong business awareness and good communication skills. Full EPSRC funding, with additional payments from industrial, is available for UK students and EU students who have studied full-time for three years in the UK. The deadline for application is 31st March 2013. If you know anyone who should be applying,please encourage them to do so soon. For more information visit this link or contact Sophie Gough. Over the last few years we have been responding to the needs of global manufacturing businesses by expanding our executive education programme – we run a number of very successful public courses as well as creating bespoke programmes for companies. We have now developed and successfully piloted a new, customised, single-company Manufacturing Industry Management and Leadership (MIML) programme. This is aimed at high potential managers, runs over a 6 to 9 month period and is likely to include four one-week taught modules based in Cambridge and to incorporate a group project tackling a real company issue of strategic importance. The programme aims to provide participants with a clear understanding of manufacturing industry and its rapidly changing context, key sector and company challenges and to develop managers’ capabilities to respond to these effectively at strategic, functional and operational levels. Content will be selected from a wide range of options, informed by the IfM research agenda which includes technology and innovation management, industrial sustainability, global networks and supply chains, strategy and performance measurement and service. An active learning approach is used throughout with many discussions, exercises and cases bringing the theory to life and enabling practice. Many of you will have undertaken in-company based projects as part of your IfM programmes and this is a key feature of our new MIML programme. These projects enable delegates to apply their learning, build working relationships and deliver immediate value to the company. If you work in a large global manufacturing and/or technology-based company and would like to know more about this or any of our other executive education programmes, please contact Judith Shawcross, our Education Programme Manager or +44 (0) 1223 765603. Save the date! More details to follow in the next newsletter. A day of interactive sessions for senior industrialists and policy makers. Every March the IfM takes part in the Cambridge Science Festival welcoming hundreds of families to enjoy an afternoon of demos, talks and hands-on activities. This intensive three-day course will help managers to understand and to use the key tools and techniques needed to fully exploit technological investments and opportunities.